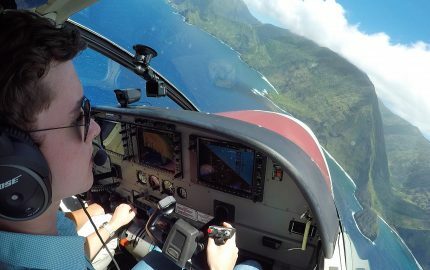 This article is the first of two articles, both of which go into detail about my PPL Checkride. 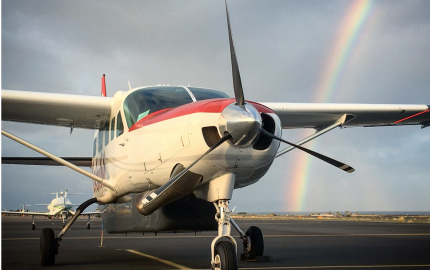 Questions, topics, and trouble-areas from my checkride have all been included with no filter. My email is swaynem13@gmail.com. Feel free to shoot me an email if you have any questions. 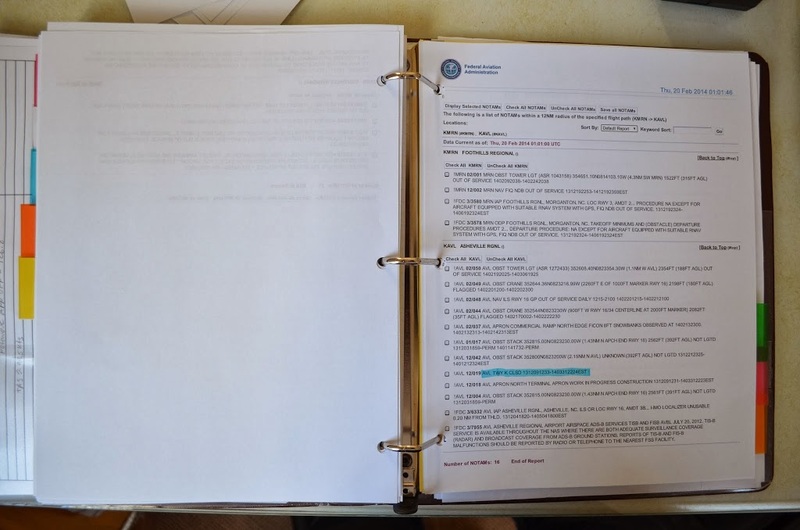 My examiner began the oral portion of the checkride by explaining that he was going to follow the PTS, but had his own sheet to make things flow a little better, and to touch on topics on which he wanted to focus specifically. He reassured me at the beginning that he wasn’t expecting perfection, and that this truly is a license to learn. I was told that if there were a few questions that I didn’t know the answer to, I could use “my library of resources” that I brought with me to find the correct answer. He let me know that this would be ok for a few questions, but that I shouldn’t need to look up answers for more than a few. (It ended up being that I didn’t have to look up answers for really anything). Basically bring every book you used to study to the checkride itself. 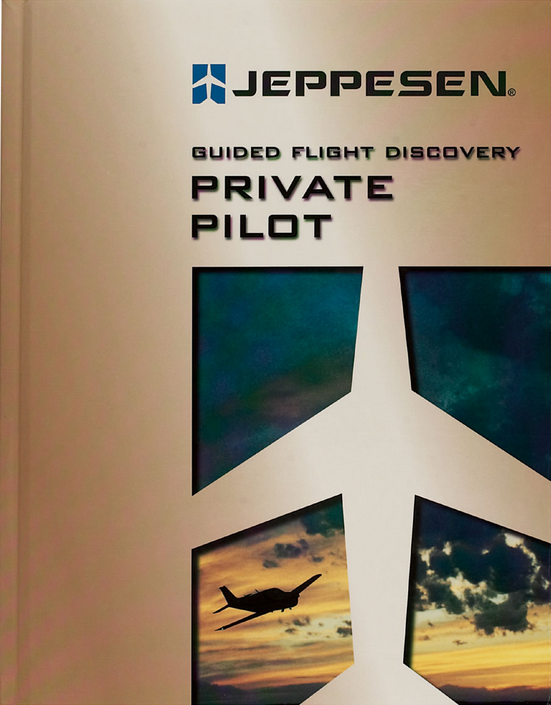 In my case, I had my Jeppesen and Gleim as well as the required FAR/AIM, AF/D, etc. The oral portion of my PPL checkride began as expected. The primary questions were about what information, documentation, and equipment that I would need to begin my flight. This includes knowing currency requirements for day and night flying, ARROW documents, required equipment and instruments for day and night flying, appropriate aircraft logs (and entries), etc. 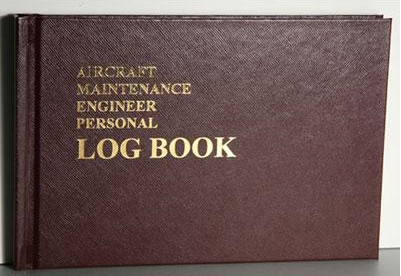 There was only one issue with this beginning portion of the checkride– the aircraft maintenance logs. 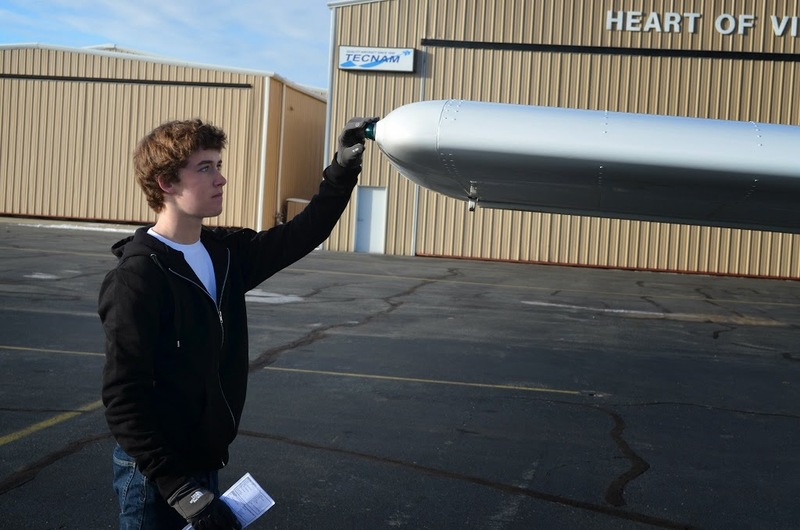 Here is a piece of advice for students who are about to take their checkride: double check (the day before) the aircraft logs and familiarize yourself with the proper entires and locations. I incorrectly assumed that my aircraft’s logbooks and their currency would be up to date. 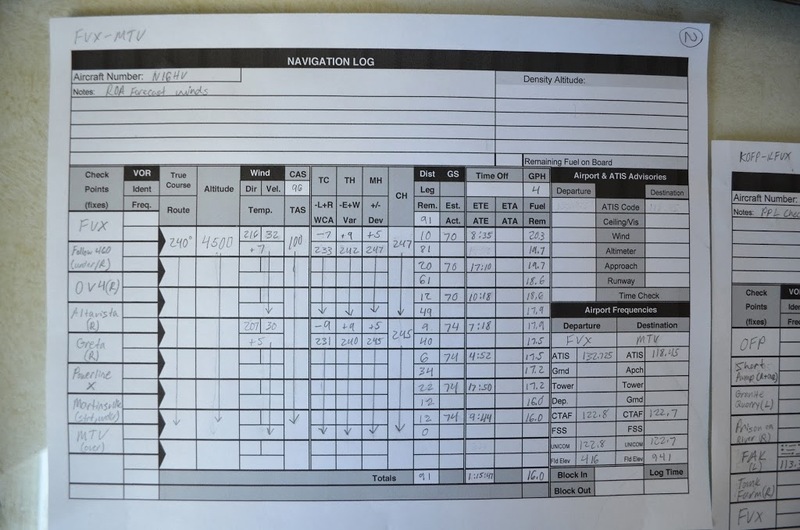 As we were going through the aircraft logs, my examiner and I noted a procedural oversight that resulted in a last minute scramble to get everything in order (as it stood in the logbooks, the aircraft was technically “un-airworthy”). This could have been completely avoided had I thought the day before to double check the logs. While my examiner reassured me that the responsibility for the oversight was not mine, nonetheless, I should have checked the logs earlier. As far as he was concerned, I did the only thing any pilot could do– identifying the mistake, and having it corrected. If need be, go out to the airport the day before and meet with one of the mechanics to go through the books, and get an explanation of what each entry means and for how long it is valid. After that isolated incident, the oral portion went smoothly for me other than a handful of missed questions. Below, I’ll go through more stages of the checkride, including some of the questions I was asked. Shortly following the opening section on requirements to fly that day, we moved into discussion about the cross-country flight that I had been asked to plan for that day. 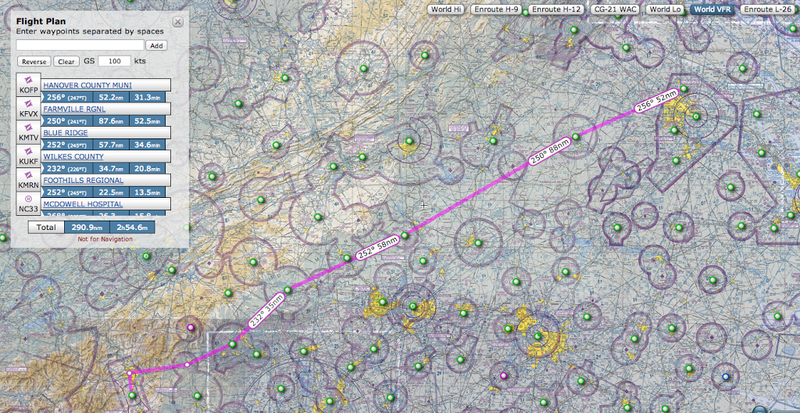 I was requested to make a 290nm xc flight plan from Hanover KOFP to Asheville KAVL (North Carolina), with the examiner weighing 200 pounds, and with 40 pounds of baggage. Normally, students are requested to make such a long xc flight plan for the checkride. This flight plan alone required me to order 4 new sectionals (one just an updated version). For a flight from KOFP to KAVL, I had to have the Washington, Cincinnati, Charlotte, and Atlanta sectional charts. 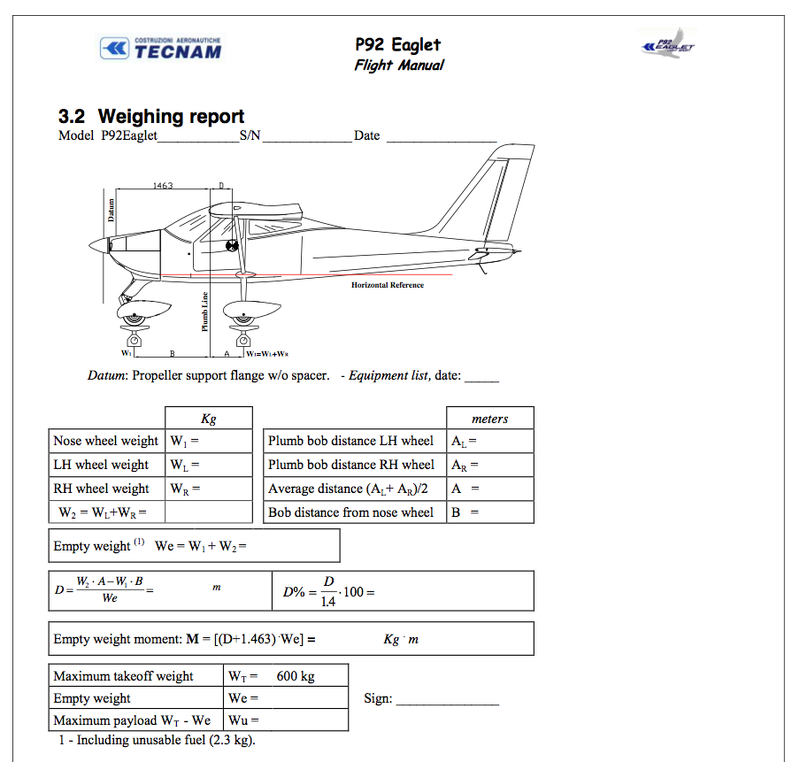 Most examiners will ask for a flight plan near the max range of the aircraft, to test your fuel calculations and fuel stop planning. I believe it was my examiner’s intention to do this, but I ended up being well within range of Asheville, with 8 gallons (or 2 hours flight time) to spare. As I laid out my sectional charts (which had already been marked for route and checkpoints), he went over my flight planning sheets. 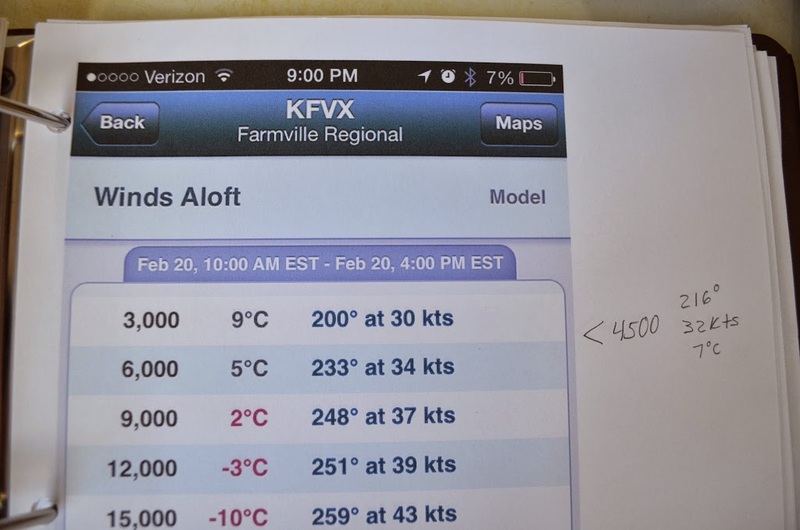 I was allowed the night before to use Foreflight forecasted winds aloft for my flight plan, which made the process a little easier. 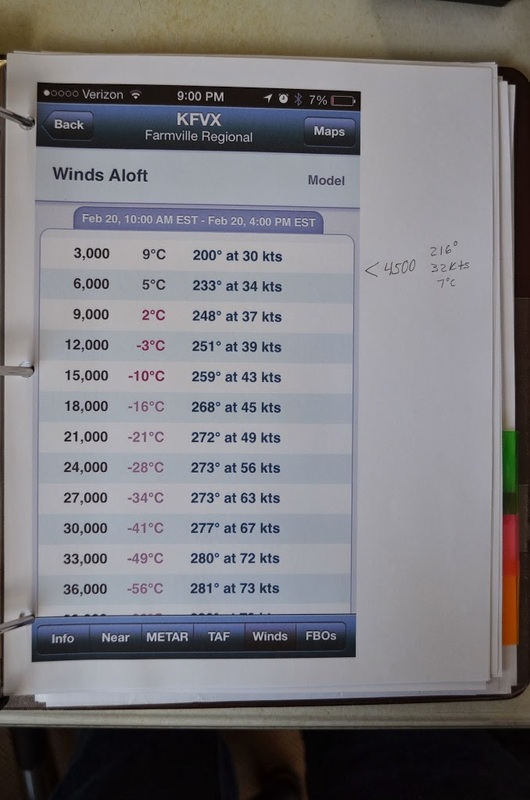 I took screenshots on my iPhone for each forecasted winds aloft page, and printed them out, as shown below. In the margin, I wrote the interpolated values for temperature, speed, and direction, for my altitude. There were five legs total in the trip; I waited to plan the first leg (OFP-FVX) until the morning of, so that the weather would be more current. The night before, I had printed out TAFs, NOTAMs, and TFRs that were along my route, so that he could easily go through some of those. He never ended up asking to see them, but it was good to have them nonetheless. 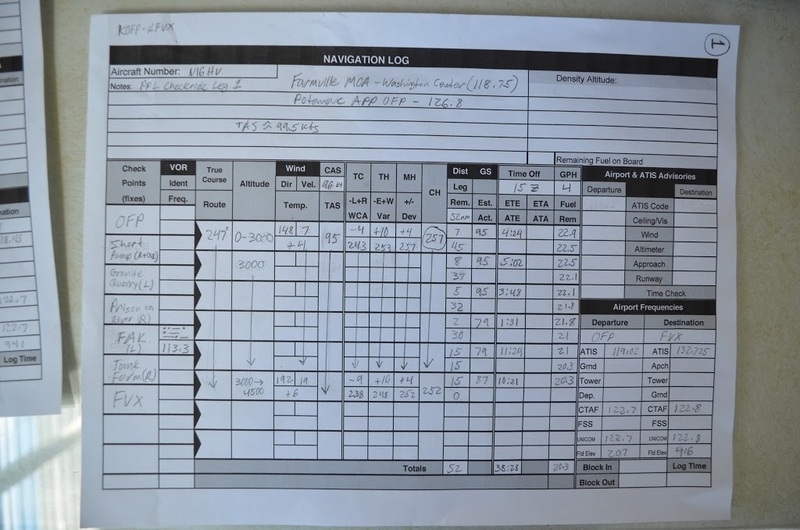 You can see some the flight plan sheets and information below. I was asked about the Tecnam’s engine and some simple specifications, such as that it’s horizontally opposed, etc. Pointing to Mountain Air (cool airport, look it up), I was asked what I could expect flying into an airport at a higher elevation, on hot days, being heavy, etc. That was it for the sectional quizzing. The only question I missed was when he asked me what the “L” stood for when we looked at an uncontrolled field on the sectional. I mistakenly said that it signified left traffic, when it actually is information about airport lighting. When I missed that, the examiner simply asked where I could find the correct answer. I told him the chart legend, and we flipped over to it, and read the correct information together. I almost said that the military flight route was a victor airway, but quickly corrected myself when I paid closer attention to the black color of the line he was pointing to. Other than that, quizzing on the sectional was easy, going completely as expected. When he asked me what kind of weather I could expect from a cold front, he gave me the options cumulus clouds or stratus clouds. I said stratus, which was the wrong answer. 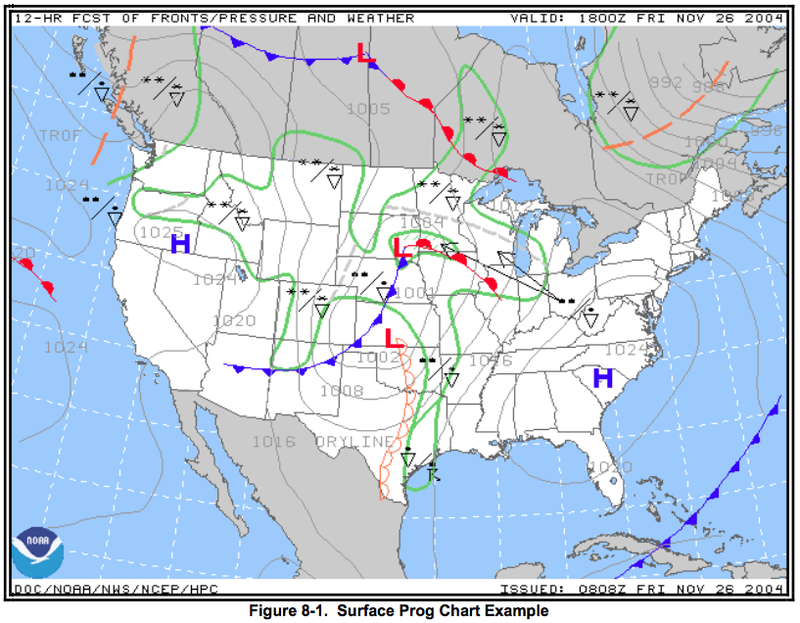 Cold fronts are often associated with cumulus clouds, thunderstorms, squall lines, etc. I missed a question when he pointed to an isobaric line on a prog chart. I believe I said something like “those lines have to do with cloud cover.” He corrected me, and we moved on, so it was no big deal. 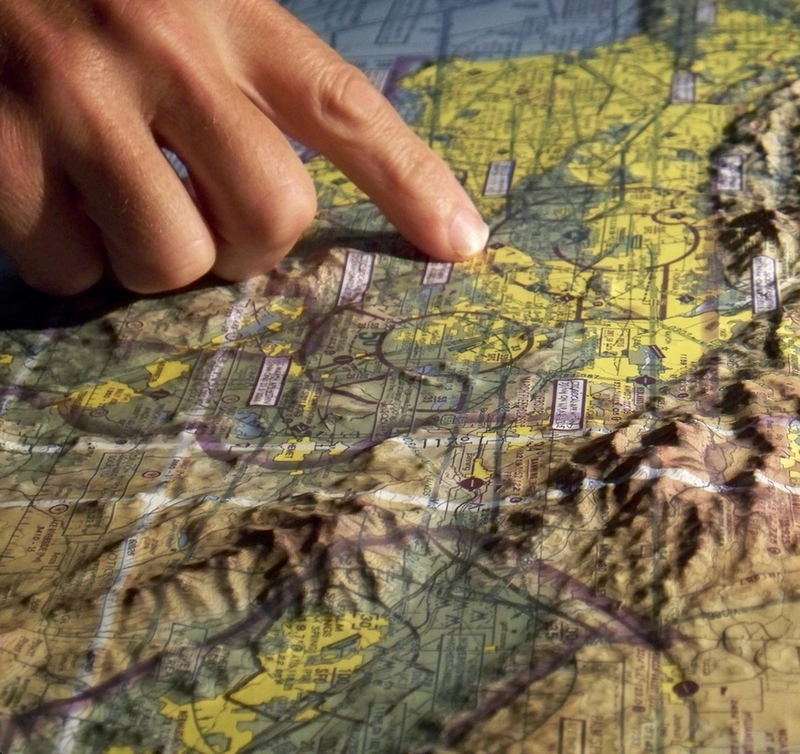 What is spatial disorientation and when does it occur? 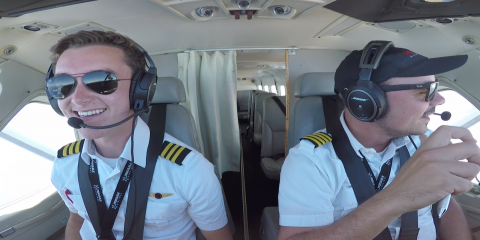 What is the Pitot-Static system and what does it do? 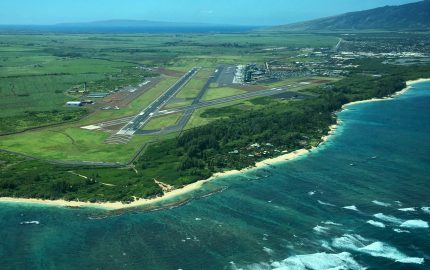 How do you avoid runway incursions and what are your personal procedures to avoid them? What is a land and hold short operation and what are your responsibilities when issues a LAHSO clearance? After successfully completing the oral portion (a huge relief for me! ), he told me to revise my flight plan for the first leg, to plan my xc flight to the first two waypoints, and to add current weather information. We then took a short break for some water, and headed out to the airplane to pre-flight. So there you have it. That was the first half of my PPL Checkride! There will be an article coming soon that details the flight portion and closing. Make sure to email me if you have any questions. I am so happy for you Swayne! When you work so hard for something and have a passion, success is the only word! Thanks so much Karlene! It’s a great feeling. Congratulations on getting your private ticket. I would highly suggest that you get some upset recover training. I was fortunate enough that the flight school I took my primary training in also teaches aerobatics to IAC unlimited category, and they their PPL graduates to getting some aerobatics training in for very cheap (maybe even free). So, loops, rolls, wingovers, and spins I went for some 30 minutes; unfortunately, half a tank of gas on a Decathlon doesn’t last very long when the mixture is in full rich and the throttle at full power almost the whole time. I mean, learning to get out of a 3-turn spin as part of pre-solo stage boosted my confidence in the pattern. Learning to execute wing-overs, loops, and aileron rolls just took my confidence to a different level. If anything, you have an idea what upside-down looks like from inside your airplane; maybe you’ll realize that “professional pilot” to you actually means joining the flying circus. Thanks for the comment! 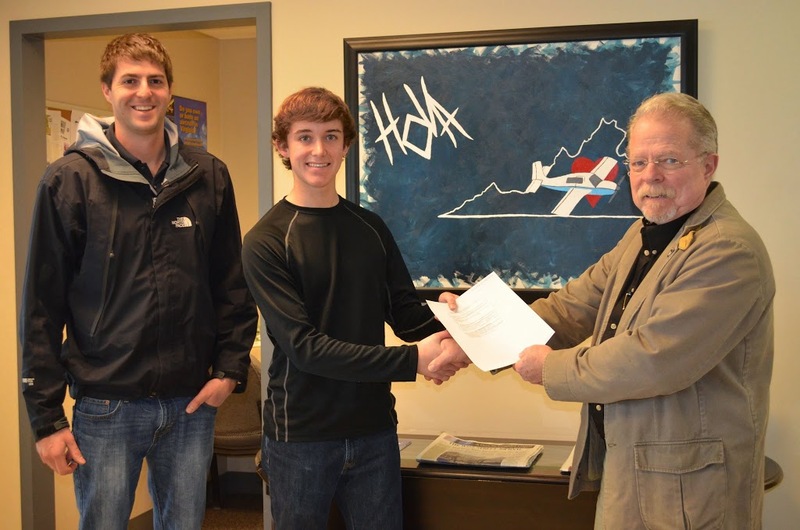 I have plans this summer to do some acrobatic training in a Decathlon with OBX Airplanes. Until then, I might look more around my area for people that do upset recovery training, etc. It sounds like a pretty good skill to have, and fun too! If you’re planning to actually do aerobatics, then you’ll be really good with upset recovery. My suggestion, save your money for the aerobatics course and the tailwheel endorsement. I’m actually getting my tailwheel endorsement in a few months myself in a J3 cub. I am an AGI in the Seattle area and just passed my commercial checkride…hoping to be a CFI real soon! This is a great story to share with my students who are coming up on checkrides…very well written and in nice detail. Thanks for sharing! Hey Amy! Thanks for the comment! 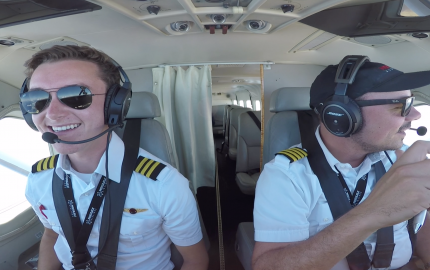 Congratulations on passing your commercial checkride–that’s a huge moment! I’m glad you enjoyed this article. 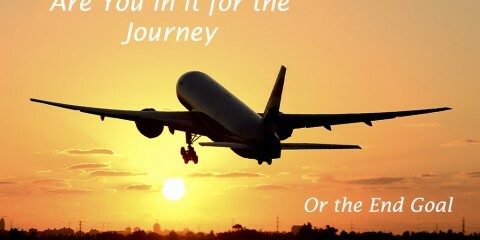 I wrote it and other articles with the purpose of de-mystifying the whole process of becoming a pilot (step-by-step). 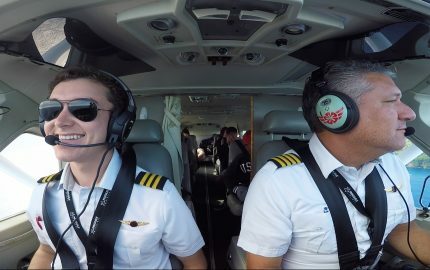 I hope this article will help other students feel more comfortable with what might be expected of them during a checkride. I know this post is 1 1/2 years old, but congratulations on your PPL. I’m 54 and working on my PPL now. I worry about the oral more than anything. The test should be fine. I find it very difficult to get the time and energy to study, with work and all. I guess this is where it pays to be young. This just helped me breathe a little! My private checkride is Sunday! I hope my brain doesn’t go to mush!! Thank you for taking the time to write this!! Currently prepping for my checkride and have been freaking out about the oral portion more than anything else. This is a huge help!! Congrats and best of luck with the rest of your flying! No problem Abbey! Let me know if you have any other questions during training. 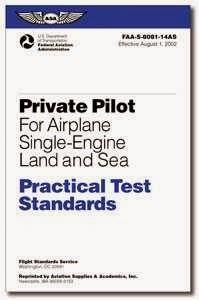 Hey Swayne, going for my checkride this week, it’s called mock PPL test here in South Africa. Thanks for these tips, I really have a lot of catching up to do after reading this. I am also going to take my PPL checkride very soon in Atlanta. Your article has been a great help to me! Thank you very much! this helped me alot thanks buddy! What are those remarks underneath your check points?